Are you a public speaker? Do you deliver business presentations? Stories are the best way to explain the complex, motivate and train. 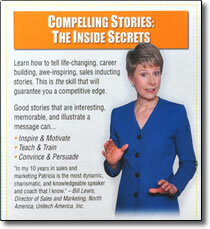 Learn how to tell life-changing, career-building, awe-inspiring and sales-inducing stories. This is the skill that will guarantee you a competitive edge.